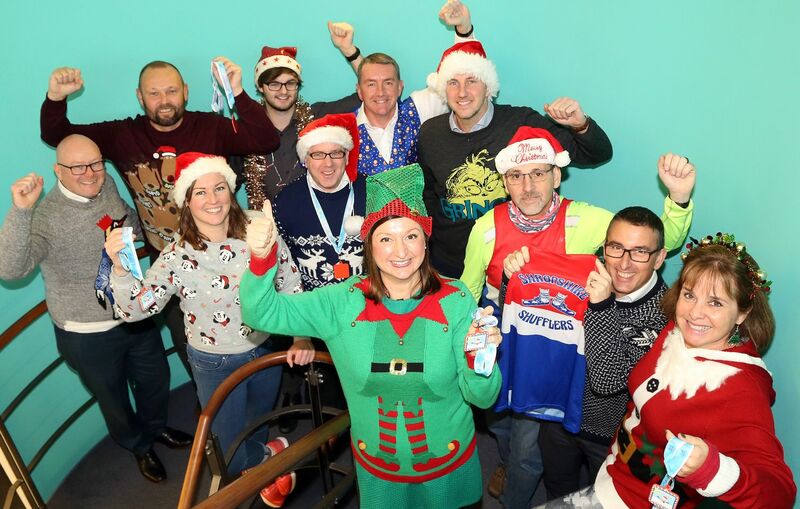 Almost 600 Shropshire people have pledged to take part in this year’s Shropshire Shufflers’ 12k of Christmas charity challenge. The initiative asks people to commit to walking, jogging or running one kilometre a day for 12 days in December, with the aim of raising funds for the Lingen Davies Cancer Fund Ruby Appeal. Organiser Francesca Hutcheson, who is the Tax Director at Dyke Yaxley Chartered Accountants in Shrewsbury, and who is also a trustee of the charity, said they had been overwhelmed with the response this year. The largest team entry for 2018 comes from Oakmeadow Primary School in Bayston Hill, where 150 pupils have signed up, and other large team entries include Nick Jones Wealth Management, Muller in Market Drayton, Beauty by Sarah, Aaron & Partners, Beaver Bridges, Henshalls Insurance Brokers, Sidoli in Welshpool, and a team of Mrs Hutcheson’s colleagues from Dyke Yaxley and Flex IT. The Lingen Davies Cancer Fund raises money to improve cancer services in Shropshire, Telford and Mid-Wales, and will celebrate its milestone 40th anniversary in 2019. The appeal was launched in 1979 by Bernard Lingen, then mayor of Shrewsbury, and local accountant Frank Davies. It has contributed around £18 million in today’s prices to improve cancer services in the local area. Estimates show that around 75,000 people have had their care improved through the impact of the fund throughout the four decades it has been running.